Book now to receive 15% off Heritage Week at 2346 Racquet Club or 2357 Racquet Club! 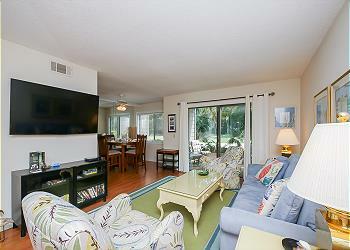 2366 Racquet Club is a beautiful 1 bedroom condo near Harbour Town. Forget about fighting the tournament traffic, just walk or bike to the Harbourtown Golf Links for the RBC Heritage! Book Now and receive a 15% discount on 2366 Racquet Club. Offer is only valid on a 7-night stay arriving April 13th, 14th, or 15th of 2019.